Happy cleanup! Let’s keep our neighborhood beautiful. Bring a dish to pass. Extra tables, decorations and tablecloths most welcome! Where did our year go? 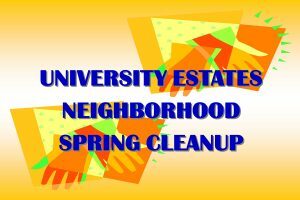 It is time for our 2nd annual Fall Neighborhood clean up day in conjunction with Durham Big Sweep on Saturday, the 07 October. This is part of Keep Durham Beautiful as well as our neighborhood. While the designated date for the Durham Big Sweep is October 7th, some groups that aren’t able to clean up that day have already begun their clean up efforts! And you can too! You are all on your own. Pick a block or a street and pick up any trash. You choose your own time during the day. In all, nearly 400 individuals representing 22 groups plan to participate in Big Sweep 2017! In the last five years, 2,200 volunteers have helped to clean up an estimated 57,840 lbs. of trash during Durham’s annual Big Sweep. Did you know that a great deal of trash in the ocean starts at the local level in streets and rivers? Durham Big Sweep not only improves local appearance but also helps prevent this trash from flowing out to the watersheds and ocean where it can harm water quality and wildlife. How does it work? 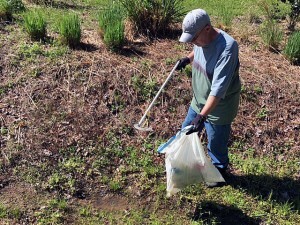 With the sponsorship of Keep Durham Beautiful, Durham County Soil and Water Conservation District and City of Durham Stormwater Services, teams of volunteers choose a location such as a park, stream or neighborhood, and get to work picking up trash! City of Durham Neighborhood Improvement Services and Durham County General Services will also provide support for the event. 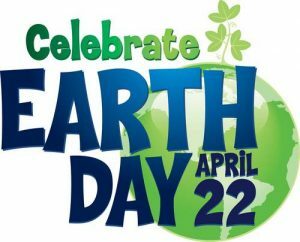 Make this a day to show those around you how to be a steward of the Earth! Let’s all do this! Have a great cleanup day! We are 1 week away until our premier neighborhood National Night Out event. This year we are promoting neighborhood awareness Western round up style. Pot luck dishes from all your neighbors. Need one more incentive? OK you’ve twist my arm. 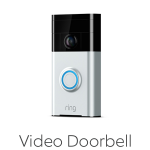 We will also be giving away a video doorbell from 2017 National Night Out sponsor Ring. See and speak to anyone at your door whether you are home or not through your mobile device with this great security doorbell. More details can be found on the original announcement linked here. 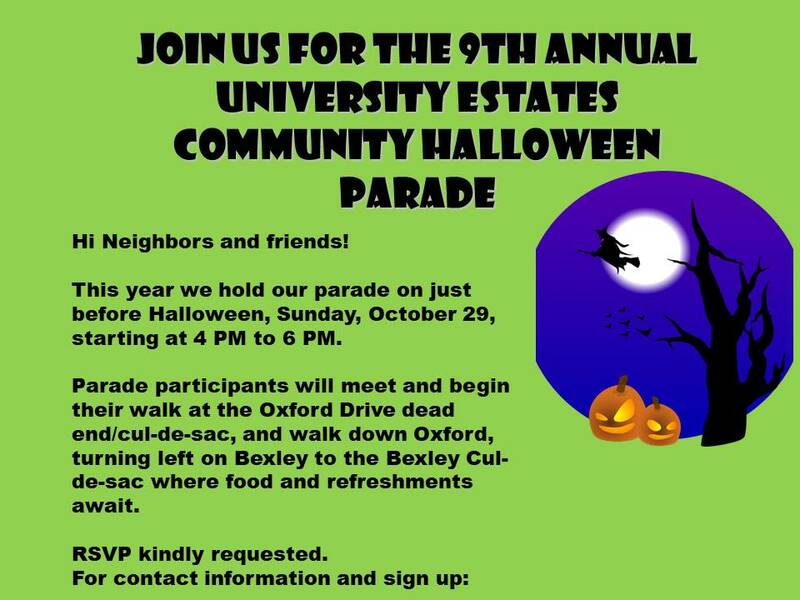 Any neighbor wishing to make a voluntary monetary contribution will be able to at the event greeting table. The N.C. Department of Transportation will hold a public meeting regarding the proposed installation of a roundabout at Hope Valley Road (N.C. 751) and University Drive (S.R. 1183), in Durham. The meeting will take place on Tuesday, July 25 2017 from 4 p.m. to 7 p.m. at The Epworth United Methodist Church, located at Epworth United Methodist Church, 3002 Hope Valley Road in Durham. Further details in the linked announcement below. 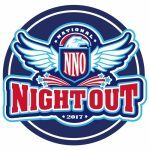 There will be NNO set-up planning meeting on Thursday July 20 at 7PM. Any neighbor who wishes to participate in the planning strategy for the NNO set-up to be held on August 1 is welcomed to join the meeting. The address for the meeting is 2807 Bexley Ave.
With “The Parlour” ice cream bus dishing out free ice cream this is going to be a fun time and we hope all our neighbors will be able to join us on Tuesday August 1 (my apologies for not providing the date on the original announcement), 6:30-8:30 PM at the Epworth Church Pavilion. We are proud to invite all University Estate Durham neighbors and friends to this year’s NNO Round-Up themed celebration. Corral you little buckaroos and come meet your neighbors as we promote community safety and awareness against crime on Tuesday August 1. 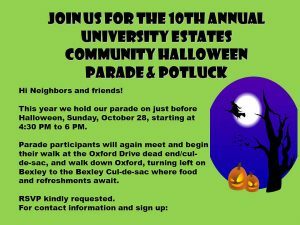 This will be a pot-luck event so all neighbors are encouraged to bring their favorite entree or side dish to share with your community members and public safety responders. Drinks will be provided at the event. 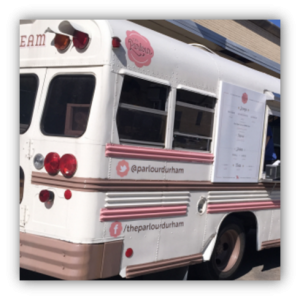 We will have a special food guest this year as we present free to you “The Parlour” food bus. 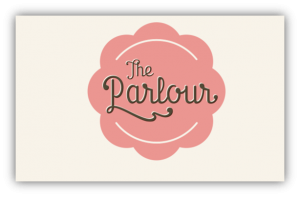 The Parlour has been scooping the most delicious handmade ice cream in their downtown location since 2013. More event details will be announced. Our NNO event is successful each year due to the hours of volunteer work before and during the event. We will be in need of some volunteers during the event if you can help. Look for the volunteer sign-up slots when you RSVP. To help cover costs for our annual event we graciously receive private monetary contributions from generous neighbors. If you would like to contribute to this year’s event please contact this year’s NNO coordinator. And what a great spring it is so far. As part of Keep Durham Beautiful, we value our neighborhood environment and want to keep it as safe, clean and attractive as possible for our community. We are starting on Saturday, the 22nd of April at 9:30 AM and finish by no later than mid afternoon that day. Join your neighbors along your street and walk your area, picking up trash. We plan to respect our neighbors’ yards and keep to the street and the area of city property along the street. For particular problem areas, you are welcome to join others in a larger team to work together. For particular concerns or problems you encounter, please bring those to the attention of your neighborhood watch co-coordinators or block captain. Particular areas of focus are greenways connecting streets, Princeton block between Oxford and Hope Valley, and Oxford Drive Block 3000 to University along Epworth Church. o Bring Blue bags for glass and plastic recyclables. o Bring Dark brown or green jumbo trash bags for paper/other trash. There is no time limit and this one day event runs from 9:30AM mid afternoon; you may take as little or long as you like; set your own hours. Whatever works. Sunscreen; Comfortable, loose-fitting work clothing; a hat or visor; Garden gloves recommended.